Jack Letts, the middle-class Muslim convert from Oxford who escaped the former ISIS stronghold of Raqqa in Syria only to become a prisoner of a Kurdish militia, claims he has been tortured and fears he is losing his mind. 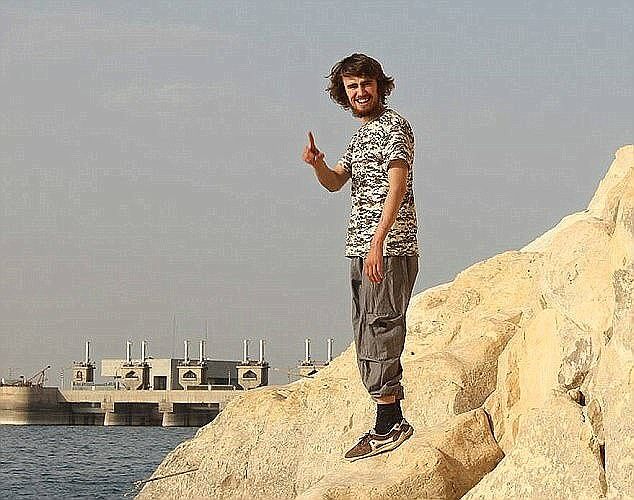 The Mail on Sunday today publishes a harrowing series of text and internet audio messages that Letts, 21 – once dubbed ‘Jihadi Jack’ – has sent from prison in the enclave of Rojava, controlled by the Kurdish PYD group, to his parents, John and Sally. The couple have just ended a week-long hunger strike hoping to draw attention to his plight. The messages reveal that, after being captured by the Kurds following his escape from ISIS, he was initially treated well, and told he would be handed over to the British within days. However, conditions rapidly deteriorated. The messages say that Letts – who has a history of mental illness – was forced to endure long periods of solitary confinement, deprived of food and exercise, threatened, then subjected to torture. He claims Britain has done nothing to help achieve his release, and despite his repeated pleas, has sent no one to visit him even though the Kurds are Britain’s allies in the fight against Islamic State. Nothing has been heard from him since a final, desperate audio message on July 8, which ended with a warning that he planned some kind of protest, although he knew this might get him shot. 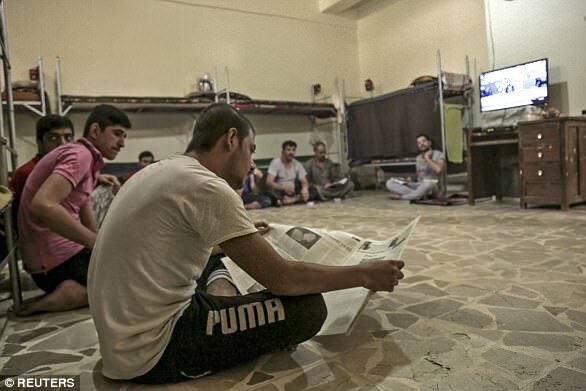 Yesterday his Kurdish captors issued a statement in response to questions from this newspaper. It said Letts had been charged with being an ISIS member, although his case was still ‘under investigation’, that he was being well treated and that he was still in weekly contact with his family. A claim that he could prove he had been tortured and was ‘scared of electricity’ – suggesting he had been given or threatened with electric shocks. May 3: I’m still in Syria but I’m genuinely out of Isis territories. The Kurds are being good to me. May 7: It is very clear that I was not a member of said group [ISIS]. I was within their territories, openly saying that they’re not [preaching] the truth. People genuinely thought I was crazy for doing that. Mum, I think the whole process of handing me over may be starting. May 26: I don’t understand why I’m in prison. June 1: I’m just outside of the city, it looks like it used to be a school, now it’s a prison. It has guard towers. It’s the terrorism prison. June 1: Two people from intelligence branch came and asked me questions. They said the questions came from England. It was ‘What is the colour of your dad’s car? What is the first pet you had?’ It’s stupid, trying to check my identity after three weeks of solitary confinement. June 19: [They] threatened me with torture. They say they’ll put me in a box. June 19: Tell them to get me out of here. I don’t even care if Britain puts me in prison. Rather ten years over there than two days here. I can’t take it here. Every now and then I get threatened with torture. July 1: They are starting to forget to bring me food. Now they only let me out for ten minutes. And the phone is now more taboo. June 19: The people here have told me they’re speaking to England. I can’t stay here any longer… Can’t they just send someone to come and get me? June 25: Yesterday I had... a mental breakdown. Even the guards here were surprised. I actually went insane. I was punching the wall and my hand was bleeding. July 8: My health situation has got much worse. Now they don’t bring me food. There’s no such thing as going out any more. And then they punish you. I’ve actually been tortured, intimidated. I don’t want to still be here after a week because I’m scared of electricity. It’s one of my fears. Mum, I’ve actually been tortured. I can prove it as well. Within a week I’m going to start fighting back. What I’m going to do might result in me getting shot, but I’ve made my decision. After July 8, there has been no contact. The Kurdish security force holding him, known as the Asayish, has been condemned for holding prisoners without charge in poor conditions by both Amnesty International and Human Rights Watch. Letts’s father, John, 57, an organic farmer and botanist, and his mother, Sally, 55, who works in publishing, say they fully accept that if and when their son returns to Britain, he should be detained and questioned, and if the evidence merits it, charged with an offence. Jack Letts converted to Islam aged 16 after dropping out of school as a result of mental illness. He went to Kuwait to study Arabic in 2014 – but to the horror of parents John and Sally, right, had himself smuggled across the Syrian border. The Mail on Sunday put questions about Letts’s treatment to four separate PYD institutions, including the Asayish. In response, Sinam Mohamad, its European representative, issued a statement to all media organisations which included the claim that Letts is still in ‘weekly’ contact with his family. She said that he is being treated in accordance with the Geneva Convention and international human rights standards and that ‘Jack Letts’s parents have been informed and reassured about his wellbeing’. She said the claims of ill-treatment and torture were ‘baseless’, adding that Jack’s parents were ‘attempting to manipulate the facts and reality’. She said the Kurds were ‘willing to hand over prisoners of war to their original country after [they are] properly investigated’ but also revealed that Britain has not asked the PYD to send Letts home, and neither has Canada. Letts has dual UK/Canadian nationality. The messages from Letts come amid a political furore sparked by Foreign Office Minister Rory Stewart, who said last week that the only way to deal with former British ISIS fighters ‘will be, in almost every case, to kill them’. Having escaped from ISIS, Letts is a prisoner of the Kurdish Asayish security force. Reports by Amnesty International say it has held other prisoners, unlawfully in poor conditions, and denied them food and medical treatment. Others, such as Max Hill QC, the Independent Reviewer of Terrorism Legislation, disagree, saying those who ‘travelled out of a sense of naivety, possibly with some brainwashing’ should be ‘reintegrated’ into British society. Yesterday Mr Stewart declined to comment on Letts. The issue was further highlighted by Buckinghamshire former grammar schoolboy Shabazz Suleman, 21, who once praised both ISIS and terror attacks in the West. He also escaped from Raqqa, and has sent messages saying he is prepared, if allowed home, to face trial. The Lettses’ solicitor, Tayab Ali, said Jack told him that his Kurdish interrogators claimed they were fed questions by the British. Mr Ali said he feared the Government was using the Asayish and its prisons as a ‘black site’ for UK detainees, so ‘outsourcing’ the task of deciding their fate to the Kurds. Brought up in an affluent Oxford neighbourhood, Jack Letts converted to Islam at 16 after suffering mental health problems that disrupted his schooling. At first, his family was delighted: his faith, John said, gave him a ‘new purpose’. He went to study Arabic in Kuwait in May 2014 – then disappeared. As this newspaper has previously disclosed, in earlier messages from Raqqa, Jack claimed he swiftly became deeply critical of ISIS. He has always denied playing any part in the fighting. By the autumn of 2015, he said he was desperate to leave, telling his parents that the group’s crimes were flagrant breaches of Islamic law. After speaking out publicly, he was, he claimed, detained several times in ISIS jails. After escaping Raqqa by trekking across a minefield, Jack reached Rojava and sent the first of his recent messages via the Telegram app on May 3. At first, he was held in a house with a pool. He thought his handover to Britain was imminent. Among the questions were: what is the colour of your dad’s car, and what is the first pet you had. They were, Jack said, ‘trying to check my identity after three weeks of solitary confinement’. Jack Letts, 21, has been charged after travelling to Syria in 2014, Kurdish officials have said. After arriving in Syria, Mr Letts was captured by the Kurdish YPG after leaving Islamic State territory. Officials from the country's Kurdish region told the BBC Mr Letts was captured in May this year. The Democratic Federation of Northern Syria (DFNS) said Mr Letts is in prison in Qamishli, Rojava, northern Syria. The self-declared autonomous region said the case is being investigated by its local police force, the Asayish. Mr Letts converted to Islam while attending Cherwell comprehensive school in Oxford and travelled to Jordan when he was 18 after dropping out of A-levels. He entered Islamic State-controlled territory in Syria in autumn 2014 before marrying in Iraw and fathering a child. A petition was started by his parents, who deny he went to Syria to fight with the terrorist group and claimed their son had 'disappeared in a Guantanamo-style black site'. The European representative of DFNS Sinam Mohamed disputed this, telling the BBC the region respects human rights and was treating Mr Letts in accordance with the Geneva Convention. 'We refute all these baseless allegations,' she said. 'The Democratic Federation of Northern Syria's policy with regard to prisoners of war is clear and fair. 'Despite this fact, the DFNS is not less committed than European countries to treating the fighters from this terror group according to international human rights standards." 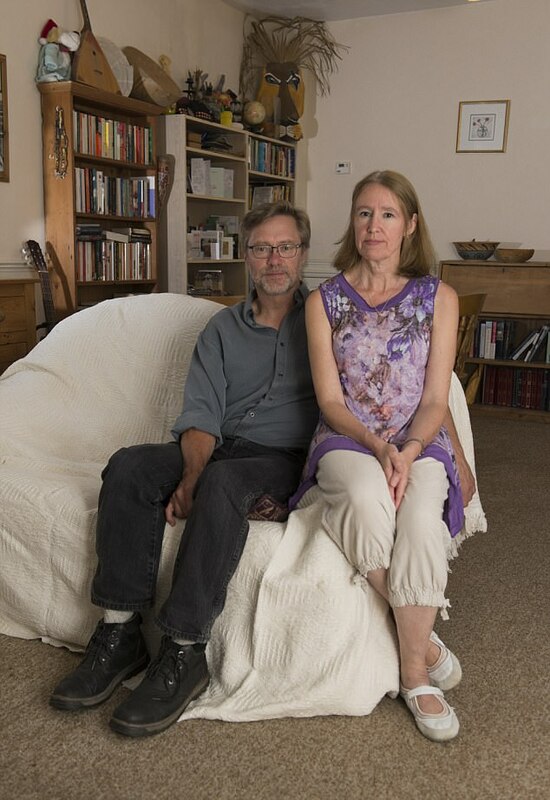 John Letts and Sally Lane went on a week-long hunger strike in protest at the alleged lack of action by the British government to help their son. They said that they have had no confirmation of whether he is still alive since July. But Ms Mohamad's statement gives shed light on a possible handover of Canadian passport holder Mr Letts to British authorities. It said Kurdish officials are willing to hand over prisoners of war to their home country after a proper investigation. 'Jack Letts is currently under investigation by local and global anti-terror units,' it said. 'Once the investigation is concluded, the outcome will be communicated to Jack's parents, and their legal representatives and to the officials of relevant governments. 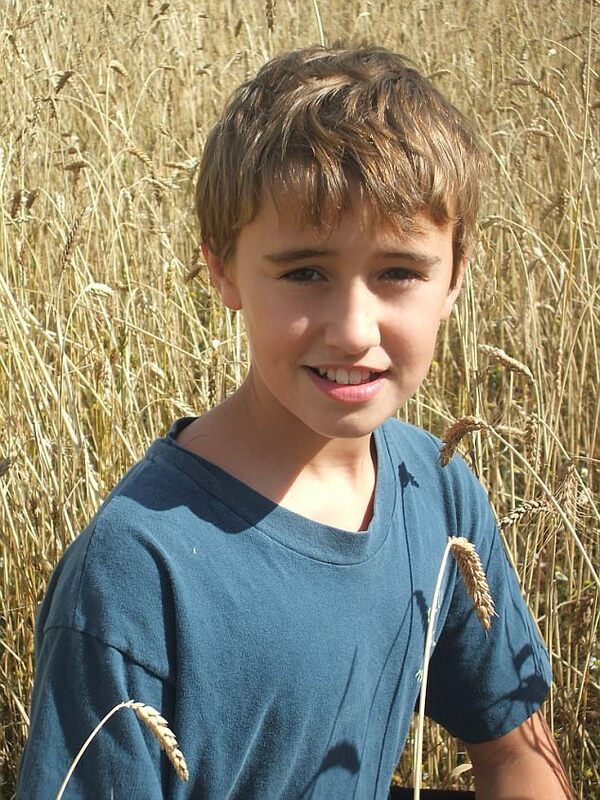 'Therefore, we ask the parents of Jack Letts and their legal representative to ask the UK and Canadian governments to officially request the handover of Jack Letts from the officials of the DFNS so that the handover can proceed officially. It is believed Jack is being held in the Alaya ‘terrorist prison’ near Qamishli. On June 19 he said: ‘I’m asking [the British Government] to help me. Tell them to get me out of here. I don’t even care if Britain puts me in prison. Rather ten years over there than two days here. Meanwhile, Letts’s parents and his Labour MP, Anneliese Dodds, asked Foreign Office Minister Alistair Burt to help. There was nothing, he wrote, he could do, because ‘the FCO [Foreign and Commonwealth Office] is not able to provide consular assistance in Syria’. Letts had already given vivid descriptions of losing his mind. He would not, he said, commit suicide. But he was determined to make some sort of protest. A Foreign Office spokeswoman said she could not comment on the claim that Jack’s interrogators had been given questions by UK officials, nor the suggestion that Britain ‘outsourced’ detention to the Kurds.